Rest 1 min. Complete 5 four min rounds total. Post number of rounds completed per 4 min bout to comments. Complete 10 mountain climbers (R+L=1) during the 1 min rest. Yep, I like v-ups. IMO you get the most abdominal bang for your buck with a v-up. For LOTS of reasons. Those v-twists are going to sting. Hang in there. Get em. The v-twist demo shows Meg using a medicine ball. For today, I prefer you use a DB. Don't be fooled, this one looks WAY easier on paper. Wow! Check these out Neil!! ... And we're just beginning! 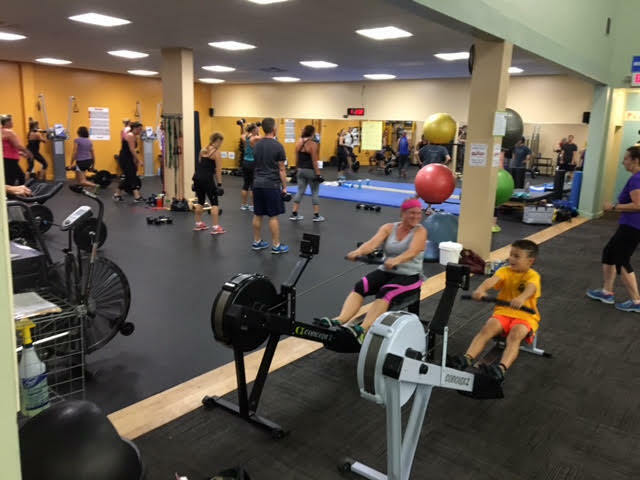 The Longfellow Health Clubs are locally owned and independent tennis and health clubs committed to the health and well being of our community. The Sustainable Business Network (SBN) engages business and community leaders in building economies that are local, green, and fair.